Have a day of magic on the 2nd (Mon) at Walt Disney World Resort. Pack the 6th (Fri) with family-friendly diversions at Discovery Cove. There's much more to do: find something for the whole family at Universal Orlando Resort, laugh and play at SeaWorld Orlando, sample the tasty concoctions at Orlando Brewing, and discover the magic at Happily Ever After Fireworks. London, UK to Orlando is an approximately 13.5-hour flight. You can also do a combination of train and flight; or do a combination of flight and bus. You'll gain 5 hours traveling from London to Orlando due to the time zone difference. Expect warmer temperatures when traveling from London in September; daily highs in Orlando reach 37°C and lows reach 27°C. Finish your sightseeing early on the 6th (Fri) to allow enough time to travel to Nashville. Start off your visit on the 7th (Sat): admire the landmark architecture of St. Louis Cathedral, stop by Faulkner House Books, then brush up on your military savvy at The National WWII Museum, and finally appreciate the extensive heritage of Garden District. Get ready for a full day of sightseeing on the next day: get to know the fascinating history of Jackson Square, make a trip to French Quarter, and then tour the pleasant surroundings at New Orleans City Park. To find photos and other tourist information, read New Orleans tour itinerary builder tool . Traveling by flight from Orlando to New Orleans takes 4.5 hours. Alternatively, you can drive; or take a bus. Traveling from Orlando to New Orleans, you'll gain 1 hour due to the time zone difference. While traveling from Orlando, expect a bit cooler days and somewhat warmer nights in New Orleans, ranging from highs of 33°C to lows of 33°C. Finish your sightseeing early on the 8th (Sun) so you can travel to Nashville. Nashville is known for nightlife, museums, historic sites, parks, and fun & games. Your plan includes some of its best attractions: learn the secrets of beer at a beer tour and tasting, catch a live performance at Grand Ole Opry, take an in-depth tour of Lotz House Museum, and see the interesting displays at RCA Studio B. To see reviews, ratings, photos, and other tourist information, read our Nashville trip planner . You can fly from New Orleans to Nashville in 4.5 hours. Alternatively, you can drive; or do a combination of train and bus. Traveling from New Orleans in September, plan for much colder nights in Nashville, with lows around 19°C. Finish your sightseeing early on the 11th (Wed) to allow enough time to travel to Grand Canyon National Park. On the 12th (Thu), trek along Bright Angel Trail. Plan trip to Grand Canyon National Park with our itinerary maker to find out where to go and what to do. 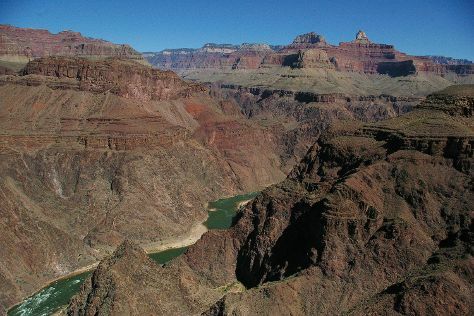 Getting from Nashville to Grand Canyon National Park by combination of flight and bus takes about 10.5 hours. Other options: do a combination of flight, shuttle, and bus; or drive. Traveling from Nashville to Grand Canyon National Park, you'll gain 1 hour due to the time zone difference. Prepare for slightly colder weather when traveling from Nashville in September: high temperatures in Grand Canyon National Park hover around 28°C and lows are around 7°C. Wrap up your sightseeing on the 13th (Fri) to allow time to drive to Los Angeles. Start off your visit on the 13th (Fri): get to know the fascinating history of Hollywood Walk of Fame and then look and learn at Griffith Observatory. 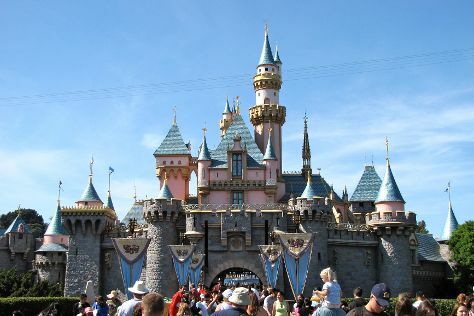 Keep things going the next day: discover the magic at Disneyland Park. To see photos, traveler tips, ratings, and more tourist information, read Los Angeles trip planner. You can drive from Grand Canyon National Park to Los Angeles in 7.5 hours. Alternatively, you can do a combination of bus and flight; or do a combination of shuttle and flight. The time zone difference moving from Mountain Standard Time to Pacific Standard Time is minus 1 hour. When traveling from Grand Canyon National Park in September, plan for somewhat warmer days and much warmer nights in Los Angeles: temperatures range from 34°C by day to 22°C at night. Finish your sightseeing early on the 15th (Sun) to allow enough time to travel back home.